It goes without saying that when someone turns 21, it is the “magical” age where you are legally an adult and are “free” to do whatever you want. And this particular freedom would also mean being able to get some drinking time in without going through the hassle of faking an ID to the bouncer at the door. Why not go all the way with this crazy looking $9.99 Legally 21 Drinking Helmet? It is the ideal way to announce to everyone just what your age is, not to mention being a funny gift for your 21-year old kid – never mind that he or she wished to have received a new car key instead. 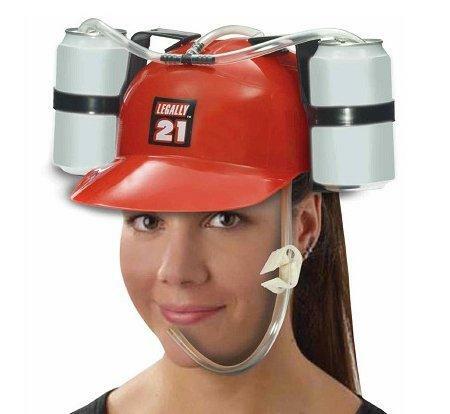 The Legally 21 Drinking Helmet would be able to fits most adult heads with an adjustable strap, and its can holders ought to be able to handle most bottles, too.